Starting in 2000, casting began for the film adaptation of Harry Potter and the Philosopher's Stone, the best-selling novel written by author J. K. Rowling. Rowling personally insisted that the cast be British and assisted Susie Figgis and director Chris Columbus in casting the roles. 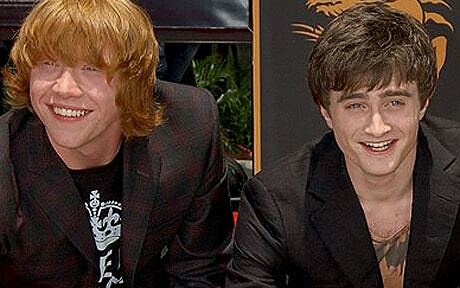 Grint chose to audition for the role of protagonist Ron Weasley, one of Harry Potter's best friends at Hogwarts, and was a fan of the book series. Having seen a Newsround report about the open casting, he sent in a video of himself rapping about how he wished to receive the role. His attempt was successful as the casting team asked for a meeting with him. On 8 August 2000, Daniel Radcliffe, Emma Watson, and an 11-year-old Grint were selected to play the roles of Harry, Hermione Granger, and Ron, respectively. 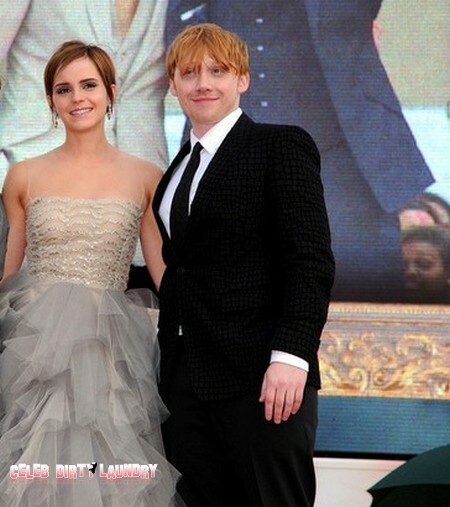 Grint is the oldest member of the trio. The release of Harry Potter and the Philosopher's Stone in 2001 was Grint's debut screen performance. Breaking records for opening-day sales and opening-weekend takings, it was the highest-grossing film of that year. With a total of US$974 million in its theatrical run, Philosopher's Stone stands as the second most commercially successful entry in the series. It was also critically well-received, scoring mainly positive reviews from critics. However, a number of critics found the adaption staying faithful to the book to be both its best and worst quality. Grint won a Satellite Award in the category of "Outstanding New Talent", and a Young Artist Award for "Most Promising Young Newcomer".